Eve Fineman provides full service design for interiors, custom millwork and furniture. The practice melds sustainability with forward-thinking design. 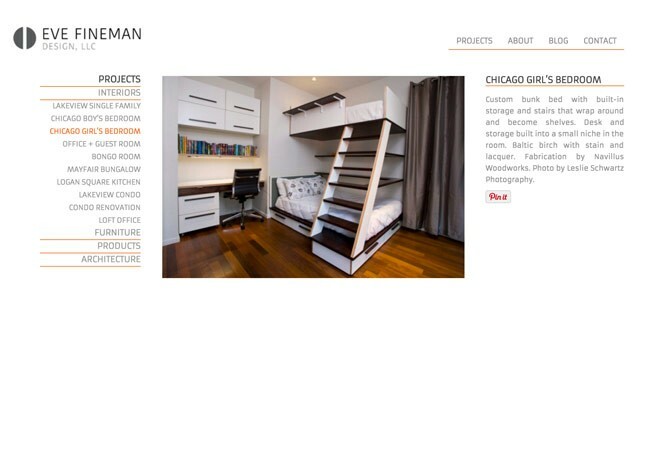 The web site includes a full portfolio with expanding menus for each project type. Services performed on this site include: completely custom design and development using the Ari theme for a minimalist look and implementation of mobile responsiveness.